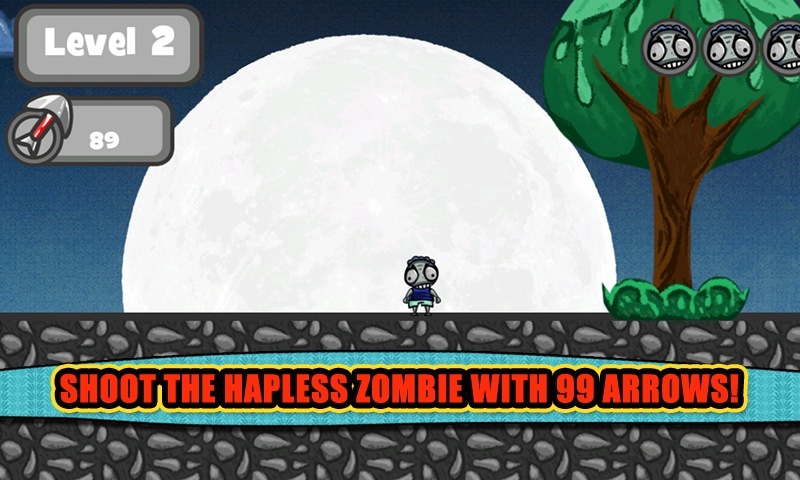 Shoot the Hapless Zombie with 99 arrows! 99 Arrows:Zombie is an classic archery game. 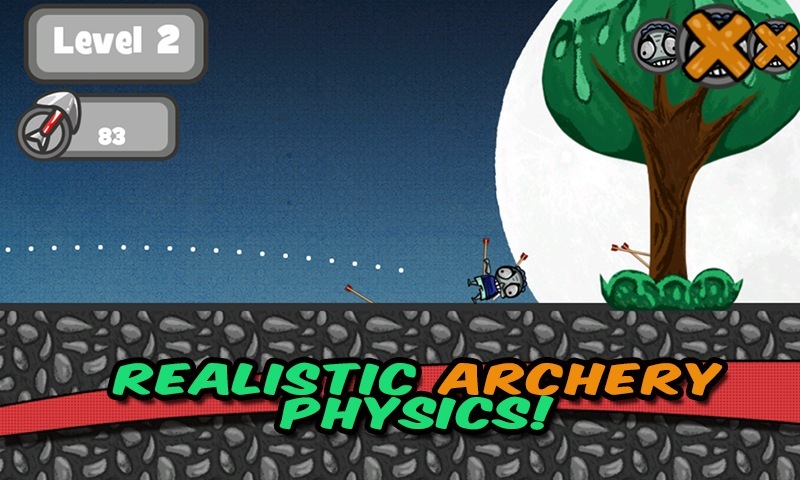 Drag, Flick and shoot the Hapless Zombie with your bow and arrows. In the first level, the zombie places quite close to you. If you hit the Hapless Zombie successfully 3 times then you move to the next level, where you'll be placed a little further away from the zombie, and so on. Watch out, there are limited arrows. After you used all arrows, it's game over. 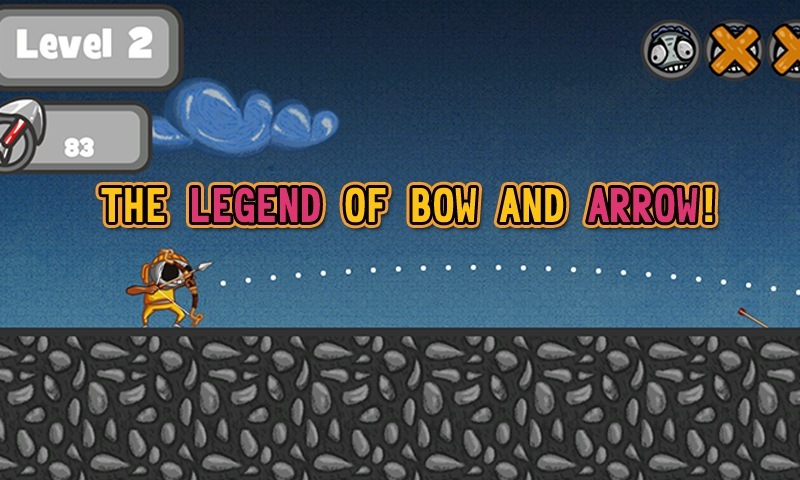 This is a classic bow and arrow game like other classic apple shooter game. But in this game your target is the zombie! Click and Slide your finger to the leftï¼Œthe more left you slide , the more power the shot will have. Game features: -Simple yet gameplay with easy controls! -Realistic Archery Physics! -Great Touch Effect! 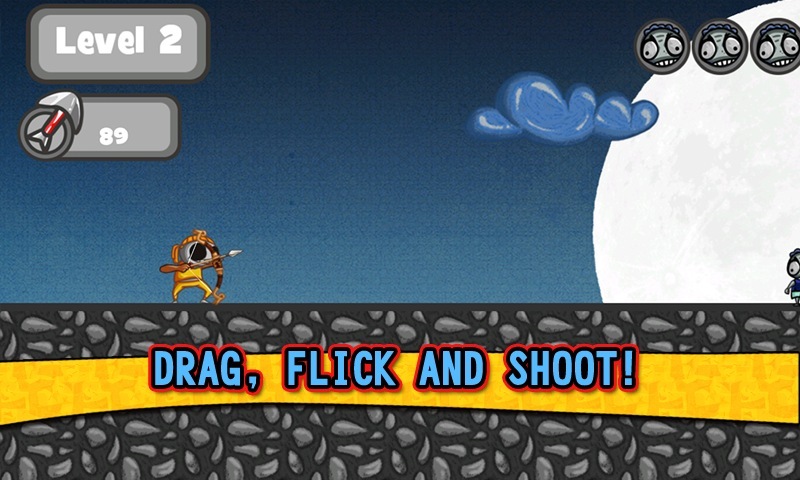 -Perfect shooting experience Let's drag, flick and shoot!